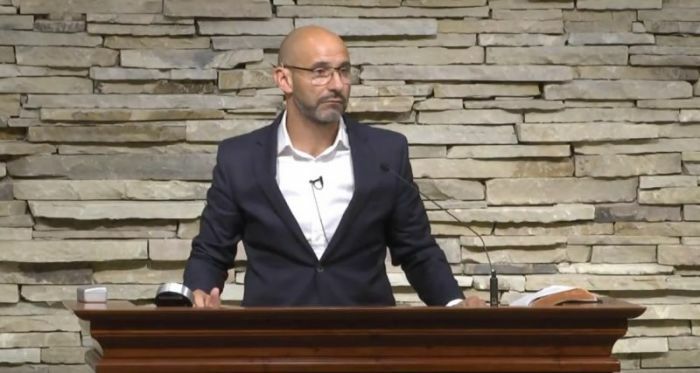 A former professional soccer player turned pastor has warned that Christians who adhere to the Bible's teachings on sexual ethics will become "enemies of the state" for their beliefs. "They say, 'we hold to Scripture on these things.' And we're not just wrong then for holding to scripture, we're unloving and we're illegal," said Peacock, stressing the word "illegal." "You study the history of Christian martyrdom. They were murdered, they were killed, not ultimately for being Christians, though we know that's the reason behind it, but for being enemies of the state." Peacock went on to say that is "the way it's going on these issues," adding "we will become enemies of the state." "The pressure will come your way, it's coming your way, it has come your way. It will increase," he added. "How will you respond?" Peacock drew upon the New Testament book of Jude, namely verse 3, and noted that Christians were all called to "contend" regardless of their apologetics ability. "Dear friends, although I was very eager to write to you about the salvation we share, I felt compelled to write and urge you to contend for the faith that was once for all entrusted to God's holy people," reads the verse. "It is not an option," continued Peacock. "You must do this if you are a Christian. To get out of contending, you must get out of the Triune God." "Contending is not about being gifted, it is about being called. If you're called, then you contend. And you must contend." The one-day event, "Complementarity & Contending for the Faith," was co-hosted by the Council on Biblical Manhood and Womanhood. In addition to Peacock, the conference also featured remarks from John Benton, director of Pastoral Support at London Seminary. "The early church contended for truth over Christology. The Reformers contended for truth over soteriology. Today we contend for truth over anthropology – what it is to be human: distinctly male or female created in the image of God and all that this entails," noted the event's description. A lesbian accused Lynn of calling her "perverse" and "sinful" while preaching at a train station; Lynn was eventually released without charge. Lynn said in a statement at the time that he wanted "to bring the life changing message of Jesus Christ's love and forgiveness to the world through evangelism." "I am passionate about igniting and uniting the global body of Christ for the evangelistic mandate, and I want to bring the message of salvation to the entire world, keeping the focus on Christ and spreading God's love and forgiveness found in Jesus," stated Lynn.